Parapsychology has been defined as “the science of unusual experiences”. This unit comprises a selection of readings that take a strictly scientific look at a range of anomalous phenomena. A scientific approach to the paranormal is explained. The following range of unusual experiences is examined with reference to scientific studies: paranormal cognition, mediumship, possession, alien contact, near-death experiences, reincarnation, dreams, and astrology. Discussions presented include religion and belief, psychic fraud, conspiracy theories and the psychology of belief. The topics covered are: psychological explanations for paranormal and superstitious belief, philosophy of science, pseudoscience and parapsychology, methodological issues concerning the study of psychic phenomena, and specific sections on apparitions, OOBEs, NDEs, and mental mediumship. This unit summarises the history of ghost investigation and acknowledges that in the 20th and 21st centuries, “ghost hunting” has largely been conducted with the aid of technology, though interviewing and detective-like skills, and sometimes the input of psychics, are also important. Then when we are seeking evidence that can be measured or recorded in some way, instruments become important, to test the reliability of witness accounts as well as to obtain objective data. The key text proceeds to consider temperature measurement, electromagnetic fields and radiation, environmental monitoring, EVPs and sound recording, still and video photography, infrared and ultraviolet light, and thermal imagery. The nature of orbs is also discussed. This module looks at the role of sound in psychic phenomena and paranormal research. Starting by giving a brief introduction to the physics of sound and how it affects recording instruments, the unit continues with explaining what happens to sound in our ears and brains, giving examples of noisy ghosts and spirit, summarising EVP research, and explaining infrasound and its effects. We then look at the psychology of EVP, and the mysteries surrounding spontaneous music and sounds, trance-inducing music, and rapping sounds. This unit will give you comprehensive instructions for experimenting with paranormal voices. Session transcripts are provided and many resources are listed. We also give our own supplement of extra resources and information, including where to get valuable extra lessons at very low cost. In the final assignment the student is asked to analyse an actual EVP session by giving their evaluation and/or criticism of the session. Experienced researchers can use one of their own recorded sessions. People new to the field can study one of the many examples of EVP radio “ghost box” sessions to be found on YouTube or other online sources. The author of the set text for this unit, Dean Radin PhD, speaks of a “social taboo” that leads scientists to avoid parapsychology like a “zombie plague,” despite the fact that parapsychology researchers apply orthodox scientific methods to unusual and hard to explain experiences. The consequences are that professors who are interested in the paranormal hide that fascination from their colleagues and students, and students are taught a scientific materialist dogma that leaves no room for concepts such as a consciousness that transcends the material. Dr Radin, in this text, views parapsychology as a type of magic. He looks at the history of magic and digs out its nuggets of wisdom, relating them to parapsychology and the emerging positive trends in psychology such as positive and transpersonal psychology. A major part of the book discusses how consciousness might affect reality, drawing research from physics, parapsychology and other fields. Evidence pointing to the existence of an afterlife comes from many sources, and this unit provides an overview and discussion of most of these angles of exploration including: modern parapsychology, apparitions, hauntings, mental mediumship, drop-in and cross-correspondence communication, physical mediumship, communication using instruments, near-death and out-of-body experiences, and reincarnation. Finally, the study focuses on what the nature of the afterlife – and our role as individuals in it - might be like. 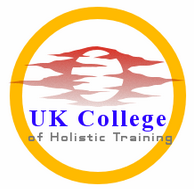 This unit first appeared as a unit in the UKCHT Advanced Diploma in Transpersonal Hypnotherapy. It has been adapted here for the student of parapsychology. The unit is based around an extraordinary collaboration between a channelled entity and a clinical psychologist/hypnotherapist. Dr. Thomas Zinser was working with difficult cases of dissociative identity disorder (a.k.a. multiple personality disorder). Unexpectedly, a secretary in his office was a channel and the spirit she channeled, called Gerod, asked to approach Zinser. Gerod proved to be able to understand Zinser’s clients at a deep spiritual level and to be able to give detailed guidance on healing strategies using a model of the psyche that went far beyond the theories of clinical psychology. The key textbook details the development of the Gerod-Zinser collaboration and the techniques that emerged for healing sub-personalitites or “inner beings”, past lives and earthbound spirits. Information is also presented on “dark” or evil spirits. For the student of channelling, possible paranormal influences on human behaviour and ghostly communications, Zinser’s work provides essential understanding. Entry qualifications: No particular entry qualifications are required but an adequate standard of general education and written and spoken English is assumed. You should be able to cope with study at further education level. This course will be of great benefit to anyone who has a deep personal interest in psychic or paranormal phenomena, to those who would like to study the subject systematically, and to all those who might become involved with such phenomena either directly or indirectly, in a professional or personal capacity. The course fees do not include textbooks. Students will normally purchase their books from on-line bookstores. Roberts, Ron and Groome, David. Parapsychology: the Science of Unusual Experience. Second edition. London: Routledge, 2017. Holt, Nicola J., et al., Anomalistic Psychology. Palgrave Macmillan, 2012. Parsons, Steven T. Ghostology: The Art of the Ghost Hunter. White Crow Books, 2015. Parsons, Steven T. and Cooper, Callum E. (eds.) Paracoustics: Sound and the Paranormal. White Crow Books, 2015. Edwards, Michael Hobert. Speaking to the Dead with Radios. Published by Michael Hobart Edwards, 2012 and available from Amazon. Radin, Dean. Real Magic: Ancient Wisdom, Modern Science, and a Guide to the Secret Power of the Universe. Harmony Books, 2018. Fontana, David. Is There an Afterlife? A Comprehensive Review of the Evidence. O Books, 2005. Zinser, Thomas, Soul-Centered Healing. Union Street Press, 2010. UKCHT reserves the right to change the syllabus and/or required books at any time. This comprehensive distance learning course is a professional-level programme of study at further education level, designed to give the student a broad knowledge of paranormal phenomena and to develop an open-minded attitude towards parapsychological events, an understanding of relevant scientific theories and philosophy of science, as well as to educate the student in some of the techniques and technology used in investigating alleged paranormal occurrences. Finally, you will look at startling information revealed by a clinical psychologist, in consultation with a psychic and channel, about our Higher Self, the diversity of spiritual entities and their influence on the living. Suggested course length: 9 to 12 months. This course has been thoroughly revised and the fee has been reduced to £250.00 plus cost of textbooks. (Extra costs or arrangements for non-UK, non-EU students may apply). Much of the material in this version is new to UKCHT, so if you have completed our previous Advanced Diploma in Parapsychology and would like to study this present syllabus, we can enrol you for a special fee of £175 plus textbooks.